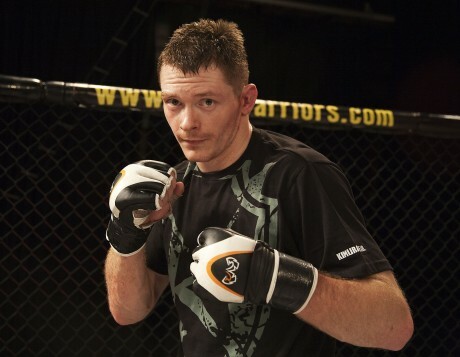 MEENBANAD native Joseph Duffy his making his return to Mixed Martial Arts following two years as a pro boxer and he is a ‘completely new fighter’. LATER this month a Donegal native makes his much-welcomed return to Mixed Martial Arts (MMA) following a stint in professional boxing. On Saturday, August 16, Joseph Duffy will fight rising French star Damien Lapilus in the main event of Cage Warriors Fighting Championship (CWFC) 70 at The Helix in Dublin. This will mark the Burtonport native’s hugely anticipated return to the sport of MMA having spent nearly two years training and competing as a pro boxer. Before that Joseph was one of the biggest stars on the rise in the world of Mixed Martial Arts, but fate led him to choose a new career path as an athlete. 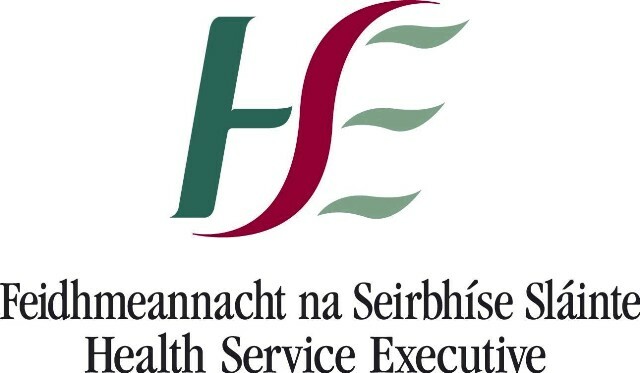 The 26-year-old is the son of Inishfree native Joe Senior and Theresa (nee Gallagher), who is originally from Meenbanad just outside Burtonport, but grew up in Wales. Joseph was born in Donegal and lived here the first few months and then again when he was four but grew up in the town of Ebbw Vale in the Welsh Valleys. His parents took Joseph, his sister and two brothers back home to Donegal regularly, which is reflected in the charming mixture of a Welsh/Donegal accent. Joseph began training in Tae Kwon Do at the age of 5 (and only a few months later his mother Theresa also followed suit). He progressed to kick-boxing, then traditional jiu-jitsu and started training in MMA by the time he was a teenager. 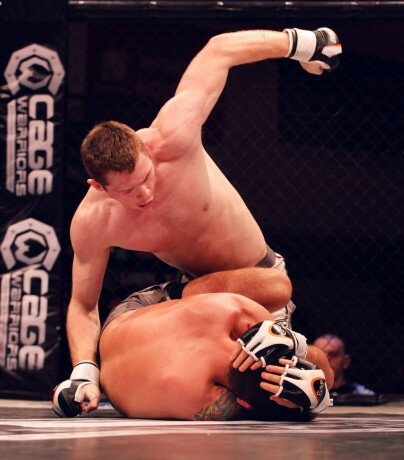 By 2008 Joseph had turned professional, winning his first ten fights and becoming the stand out lightweight fighter on the Cage Warriors Fighting Championship roster. Amongst those ten wins were defeats of two fighters who are now well-known names in the Ultimate Fighting Championship (UFC) – Dublin’s Conor The Notorious McGregor and Stormin’ Norman Parke from Bushmills, Co Antrim. Photo: Courtesy of Tommy Lakes. Joseph’s last competitive MMA fight was against Ivan Musardo for the lightweight title at Cage Warriors 44 in October 2011 during which he broke his hand. Having considered the costly move to America, Joseph decided to turn to pro boxing following advice from his boxing coach John Tandy. Despite a perfect record of 7-0-0, Joseph suffered a lot of hand injuries, including another broken hand in his fourth professional bout. “I was struggling with my hands and plagued with injury a lot after that; I would injure my hand during the first round of a fight and basically end up having to box one-handed. “I wasn’t enjoying it anymore and having spent a lot of time on the sideline, it gave me a lot of time to think about what to do next,” he said. Joseph said MMA has always been his first love and when a when the opportunity arose to resign with Cage Warriors Fighting Championship on a five-fight deal he jumped at the chance. The Meenbanad man is returning to a sport which has received a lot of publicity in Ireland recently with Irish fighters such as, most notably, McGregor and his team mate Cathal Pendred, both former Cage Warriors champions, enjoying success in the UFC. The athlete definitely feels his time training in boxing has improved his overall game as a Mixed Martial Artist. “I think I’m a completely new fighter as my understanding of the stand-up game has improved so much so I did benefit a lot from my boxing journey. “You start every fight on your feet, what ever you game plan is, so I feel I have the perfect platform to start on,” he said. Joseph didn’t grapple for two years solid and although being a bit ‘rusty’, it didn’t take him long to get back into the swing of things on the mats at the MMA Clinic and also training at Team Titan in Edmonton, North London, home of Brad Pickett and Ashley Grimshaw. A proud Donegal man, Joseph said he was delighted see another fighter from his home county, Tommy McCafferty from Letterkenny, make his debut with Cage Warriors in Dublin. There will no doubt be a lot of green and gold flags flying in the Helix on August 16 and Joseph is pleased that a lot of family and friends are travelling from Donegal and Wales to support him on his return to the cage. “One of my friends is even coming over the day before he is due to fly to America to see his girlfriend, he said ‘I can’t miss your big return’,” Joseph laughed. Joseph’s main focus is to get the first fight under his belt and then, he said, it’s up to Cage Warriors matchmaker Ian Dean to see what the next step is. And, of course, he is hoping to come home to Donegal for a visit before the end of the year. 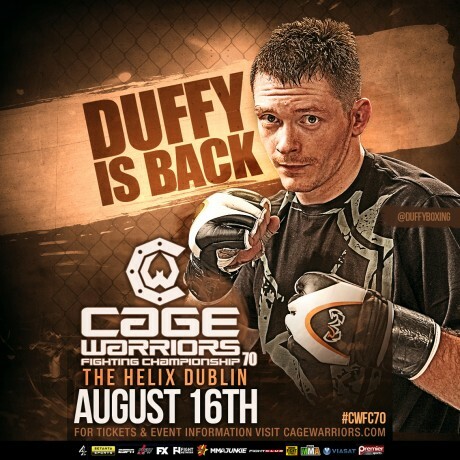 Tickets for Cage Warriors Fighting Championship 70 at The Helix in Dublin are available from www.thehelix.ie and for all updates on Joseph Duffy follow @DuffyBoxing on Twitter or Like ‘Joe Duffy Boxing’ on Facebook. 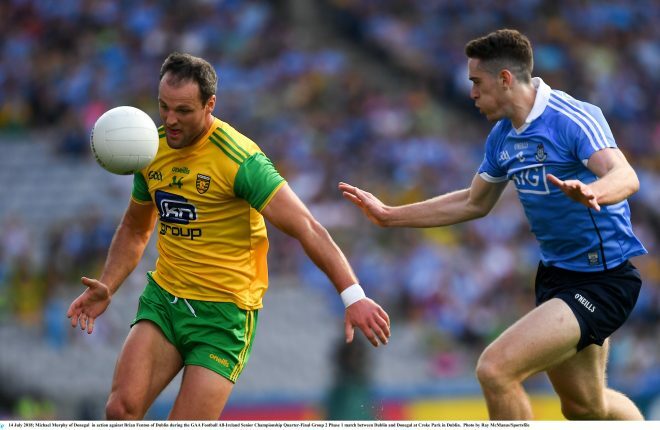 Dublin too strong in Croker.